In 1983 Nintendo released the classic game ' Mario Bros ' for the Arcades, with a number of ports released by other publishers in 1988 for systems such as the Atari 8bit. 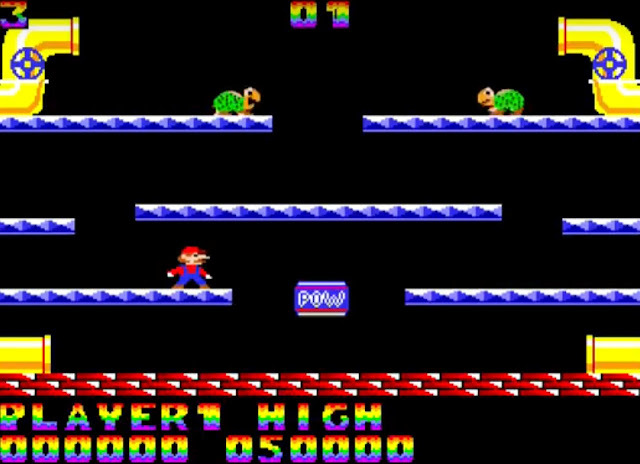 In fact there was also an unofficial overhauled Atari 8bit version in 2017 called Mario Bros XE by darryl1970. It's such a shame that we haven't been able to play an Amiga version even though one was created in 1993 by Thomas Agermose Jensen. But at least we have some new gameplay footage to show you provided by Per-Ola Eriksson that proves it existed. This very famous game created by Shigeru Miyamoto and Gunpei Yokoi, featured two plumbers Mario and Luigi, that needed to wipe out all the enemies appearing in the sewers of New York.